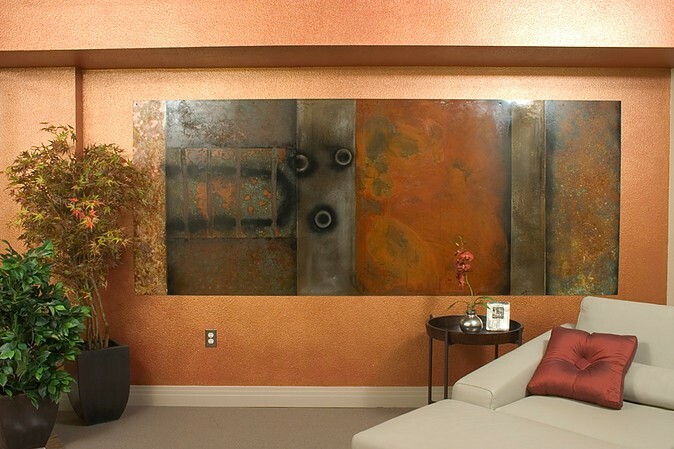 Sandy Jackson Fine Art — Carter Inc.
Sandy is a Denver based artist who enjoys producing work of a more "custom nature". Unlike many other artist she actually enjoys creating for a specific purpose , client or location. Sandy finds the act of co-creating with a client or an art consultant stimulating and says, "By listening to other peoples ideas and needs regarding a specific space, it actually produces instant images that flash through my mind that I may not have otherwise not thought of." Although Sandy's recent body of work mainly utilizesfused glass or some type of work using a variety of metals, she is very diverse and can work with almost any material imaginable and welcomes the challenge. She prides herself on the fact that she can morph her style and her materials to work within any space for which she is designing one of her art pieces . Much of her work can be seen in corporate collections throughout the US , but she also has many private collectors as well for whom she created uniquely personal pieces.